Lots of converters claim to be the best, but the simple fact is, none of them are able to offer their users the variety of options that we do. 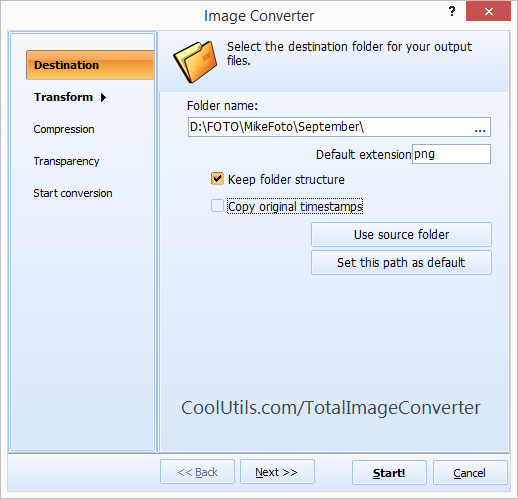 With the help of the Total Image Converter, users don't just switch one file type to another; they can actually improve their documents in the process. Now featuring support for the Apple ICNS format, our ICNS Converter can help you bridge the gap between proprietary and useful! What do we mean by that? Well for starters, companies like Apple are notorious for creating file types that can only be opened by - you guessed it: Apple machines. Unless you convert them to a more useable format, your options will be limited. That's where we can help! 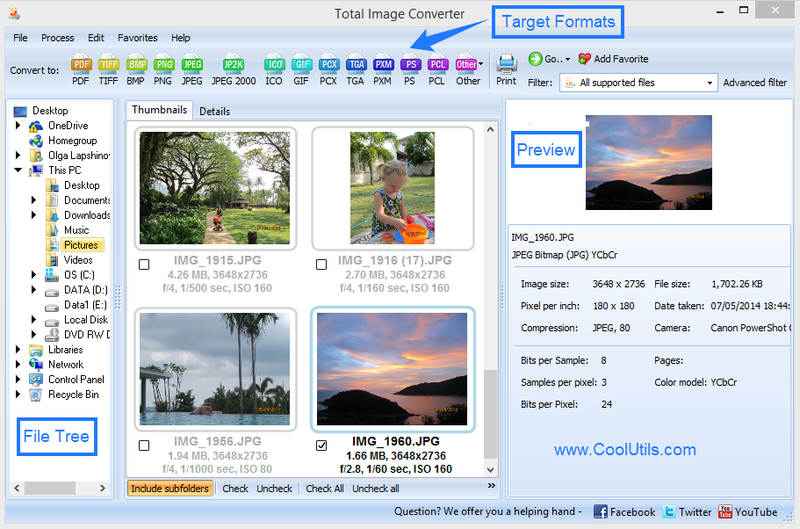 With the Total Image Converter, you can convert ICNS to PNG and a variety of other more flexible formats. When converting the Apple icon format to PNG not only will you increase file shareability, but you can increase the functionality of the files themselves. Keep your original folder structure to stay organized. Modify your ICNS images using the crop, resize and rotate features. Include custom watermarks (font, color, size, and position). Frame your images by uploading templates. 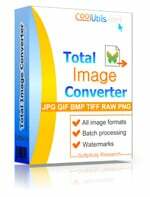 Process huge jobs in minutes with our batch image converter. Set up automatic/cmd prompts with command line access. Get started streamlining your workflow today with our free trial version. You will have 30 days to evaluate the program and decide if it's right for you. If you decide to buy, you'll get a lifetime license for just $24.90! Backed by over a decade's worth of feedback and testing, our award-winning converters are designed to save you time and money. With support for over a dozen different languages, and conversion solutions for just about every file format that's ever existed, whatever your project needs, we've got you covered!